For over 25 years Beautiful Traditions Hardwood Flooring has been providing superior hardwood floor refinishing in Austin, TX. 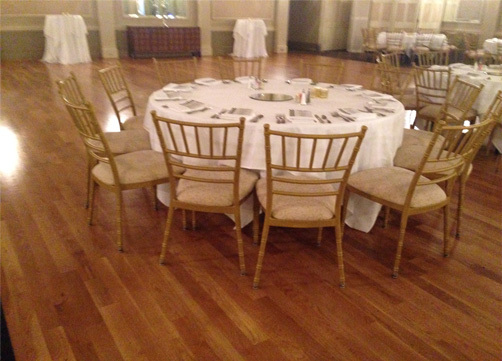 As the hardwood flooring experts, we have completed jobs of all sizes in homes and businesses throughout the area. We take pride in our work, employing a team of the most skilled flooring experts around. We can help you throughout the entire process, from selecting the perfect hardwood flooring for your project to the installation and maintenance. When we get finished, you can count on having a beautiful and durable hardwood floor that will serve you for decades to come. When you call on Beautiful Traditions Hardwood Flooring you will get superior workmanship and top notch customer service. Leaving a trail of satisfied customers, we have an A+ rating with the Better Business Bureau. When we handle the job, we leave your floor with a superior fit and finish. You will be pleased with the beautiful craftsmanship. You can depend on us for custom flooring services, whether you need us for engineered flooring, pre-finished hardwood flooring, hardwood floor refinishing or hardwood flooring installation, you will be more than satisfied with the results. Because of our track record, Beautiful Traditions Hardwood Flooring was selected by the State of Texas to create a custom crafted wood floor “medallion” to showcase the Texas Declaration of Independence in the Washington on The Brazos Museum. The museum houses the original Texas Declaration of Independence, which was signed in 1836 and made the State of Texas a sovereign nation. For more information about the project, visit http://www.birthplaceoftexas.com/VisitorCenter.htm. As “Austin’s choice for hardwood flooring, installation and refinishing – since 1993”, we are known all across the state for our unsurpassable workmanship. You can’t get a hardwood floor that looks any better than the results you will get from Beautiful Traditions Hardwood Flooring. If you are thinking about getting hardware flooring or refinishing the flooring that you already have, you can depend on us today. Call (512) 217-4796 to discuss your needs for hardwood floor refinishing in Austin, TX. For the floor of your dreams call Beautiful Traditions today!